"Let us close our eyes. Outside their lives go on much faster." Mostly cloudy this morning, and it's currently 38˚F, 33˚F. Yesterday was another bad day, but not as bad a bad day as was the day before. No work, not really, but I went out to the market with Spooky. 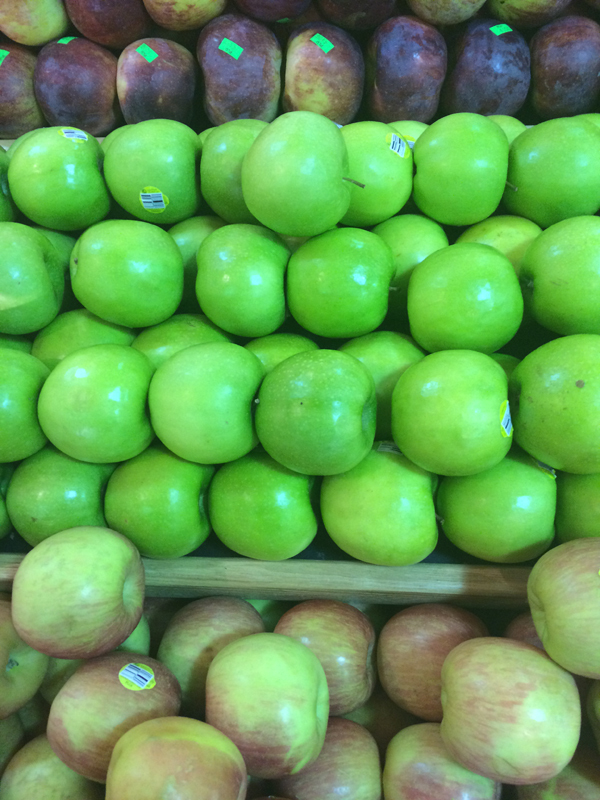 I took a photograph of apples. I lamented recently murdered Providence trees. Providence seems to have declared war on its older, larger trees, of which it has very few to start with. Anyway, today I'm going to try to work. I have to be done with the Black Helicopters galleys by Friday, and I also have the galleys for the PS Publishing edition of The Ammonite Violin & Others to look over. And I have a novella to write. I have to force myself to get through this mountain of work, so that I can visit Alabama next month. The last few days, I've read "The atlas rib in Archaeopteryx and its evolutionary implications," "The cranial morphology of Anosteira maomingensis (Testudines, Pan-Carettochelys) and the evolution of pan-carettochelyid turtles,""New information on the cranial morphology of Avimimus (Theropoda: Oviraptorosauria)," and "New cranial material of Notharctus (Mammalia, Primates, Notharctidae) from the Sheep Pass Formation, Elderberry Canyon, Nevada, with implications for incisor morphology and paleogeography of notharctine primates." Current Music:Jethro Tull, "Living in the Past"
I have to be done with the Black Helicopters galleys by Friday, and I also have the galleys for the PS Publishing edition of The Ammonite Violin & Others to look over. Let me know if I can help with either of these. I am sorry to hear about the trees. That's the wrong thing to do with them. Congratulations on the upcoming re-edition of The Ammonite Violin! That might be my favorite collection of yours so far.